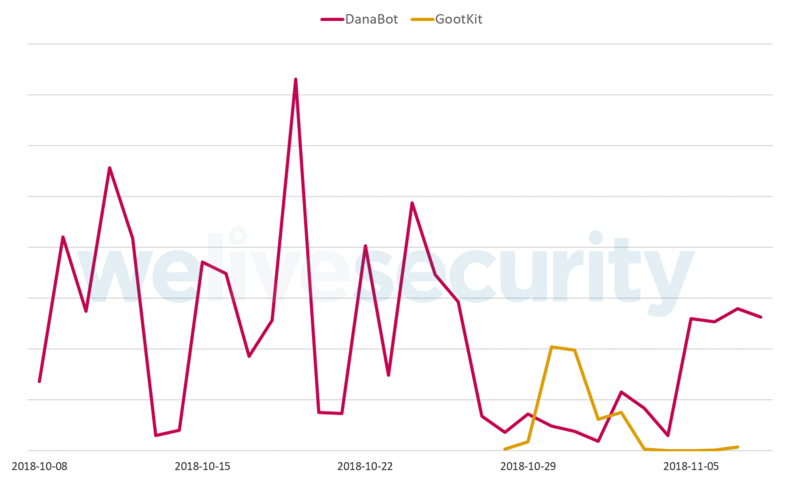 DanaBot harvests email addresses from existing victims’ mailboxes. This is achieved by injecting a malicious script into the targeted webmail services’ webpages once a victim logs in, processing the victim’s emails and sending all email addresses it finds to a C&C server. If the targeted webmail service is based on the Open-Xchange suite – for example the popular Italian webmail service libero.it – DanaBot also injects a script that has the ability to use the victim’s mailbox to covertly send spam to the harvested email addresses.